The upcoming provincial budget will include 'voluntary' road tolls to fund transit in the Greater Toronto and Hamilton Area (GTHA), The Canadian Press has learned. The upcoming provincial budget will include "voluntary" road tolls to fund transit in the Greater Toronto and Hamilton Area (GTHA), The Canadian Press has learned. Ontario's minority Liberals are expected to announce in Thursday's budget that drivers who are travelling alone will have the option of paying to use the region's high-occupancy vehicle lanes. 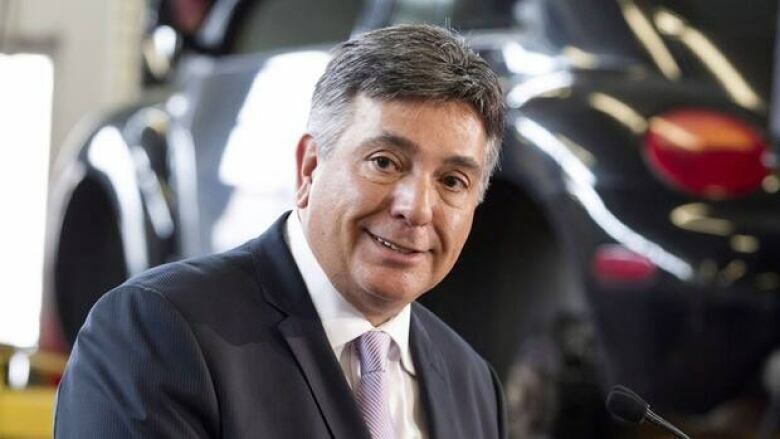 The so-called toll on HOV lanes "is a voluntary mechanism by which to allow people a choice," Finance Minister Charles Sousa has said. The budget will include other goodies for municipalities which get a share of the provincial gas tax to fund public transit. It will propose a law that would ensure the province permanently transfers two cents per litre of gas to municipalities, which amounted to $321 million last year, a source said. The budget announcement comes as the Wynne government is spurring discussion on how to fund The Big Move, the $50-billion slate of transit projects Metrolinx has planned for the region. Aiming to raise about $2 billion per year, the agency, which is responsible for transportation planning in the GTHA, has floated a cocktail of revenue tools, including new tolls and taxes, to pay for the developments. The Liberals will also tick off additional items on the New Democrats' long list of demands in Thursday's budget in an effort to stave off an election. The red-ink budget will address two of the corporate tax loopholes the NDP say must be closed if the Liberals want their support, a source said. To help fight the $12.8-billion deficit it's facing this year, Sousa plans to delay tax breaks for big businesses that would allow companies with $10 million or more in sales to claim certain expenditures such as meals, drinks and entertainment starting in 2015. The NDP wanted the breaks cancelled, but Sousa has written to his federal counterpart Jim Flaherty to request a three-year extension, so the tax breaks don't take effect until 2018, when Ontario is expected to re-balance its books. The budget will also tackle the NDP's call for changes to the health tax exemption to companies on their first $400,000 of payroll. It will stop larger companies with a payroll over $5 million from benefiting from the exemption, which the NDP wanted. But the Liberals are going one better and promising to raise the threshold to $450,000. They'll also index it to inflation so more small businesses won't have to pay the tax, the source said. By 2019, the threshold is expected to reach $500,000. Closing the tax exemption for bigger companies should provide the $40 million to $50 million that's needed to raise the threshold, the source added. Meeting the NDP's demands, then raising the stakes has been a common theme in the pre-budget poker game between the two parties. Sousa has already announced $185 million to reduce wait times for seniors needing home care — far exceeding the NDP's $30-million demand. The budget will also include $295 million to reduce youth unemployment — the NDP asked for $195 million for that initiative. The budget will also set a target for a 15 per cent average cut in auto insurance premiums. But the target isn't expected to be reached within a year, as the NDP demanded. Nor will the NDP get a five-day guarantee for seniors to receive home care. The Liberals are only committing to a five-day target. The Opposition Progressive Conservatives have said they'll vote against the budget without reading it, so the Liberals need the NDP onside to survive. Sousa's surprising parade of budget announcements targeting the NDP in recent days gave them time to mull over the proposals before the full fiscal plan is unveiled. "The NDP have made some requests (and) we've met all those requests and much more, and it's shared issues that we all have in common," Sousa said Wednesday. "We're investing in our young people, we're investing in job creation, we're investing in our future." But the New Democrats won't announce their decision any time soon. NDP Leader Andrea Horwath said the party will consult with voters before deciding about whether or not to support the government. "Not dissimilar from how we approached the budget last year, it wasn't a matter of a knee jerk thumbs-up or thumbs-down, we're going to take our time and we're going to be very thoughtful about this," she said. "It's a very important decision to be made, and we think Ontarians deserve some sense of the deliberation process, and we need to hear from them." The Liberals will also signal their willingness in the budget to talk with the federal government about legislation for pooled registered pension plans. Sousa's predecessor Dwight Duncan voiced his concerns about PRPPs in last year's budget, saying it must be tied to enhancements to the Canada Pension Plan. But all eyes will be on Horwath, who faces a difficult choice: remain inflexible and vote against a budget her party helped craft, or allow the minority government to survive, knowing there's a risk the Liberals will end up reaping the rewards for implementing her party's populist ideas. In 1985, the NDP teamed up with the Liberals to defeat the minority Conservatives, agreed to prop them up on the condition that the Liberals implemented some of their policies. Two years later, the Liberals won by a landslide and the NDP lost seats. But Horwath said she cares more about getting things done than worrying about the political consequences down the road. "For me, the most important thing is to try to actually get some of those results for people," she said. Sousa's pre-budget announcement of a three-year, $45-million music grant program — in an NDP riding no less — sent a clear message that the Liberals aren't just trying to woo the third party, they're also going after their votes. Surrounded by musicians singing their praises, Sousa and Culture Minister Michael Chan collected symbolic gold records at Lee's Palace, a downtown Toronto concert and dance hall usually packed with young, left-leaning voters every weekend. The NDP's budget calculations will also factor in the rising price tag for the Liberals' cancellation of two gas plants. The Progressive Conservatives have accused the Liberals of corruption and moved a motion of non-confidence over the $585 million spent to pull the plug on the plants. New Democrats have been just as critical and should stop supporting the Liberals, said Tory Leader Tim Hudak. "The NDP comes in the house every day and says that the (Liberals) lied, they're corrupt, they blew all this money," he said Wednesday. "Are they going to then shrug their shoulders and say we're going to keep this act going? It's time for a change."